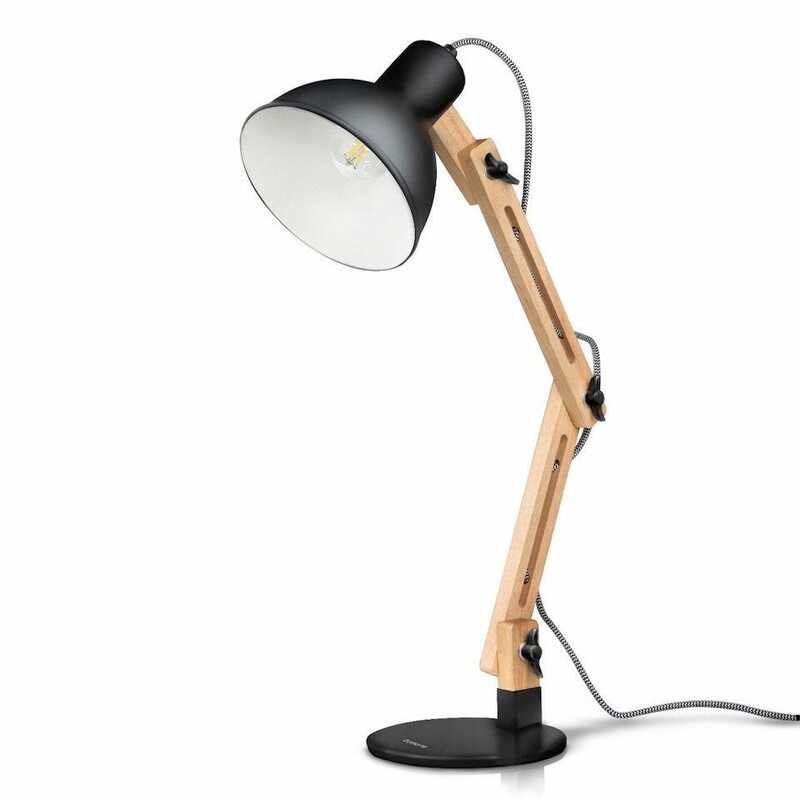 Like so many gadgets, you can spend a ton of money on a great desk lamp—but premium lamps with premium prices are a topic for another day. There’s plenty of fantastic lamps available for reasonable prices worth taking a peek at if you want great lighting but you don’t want to break the bank. Each of our picks utilizes LED bulbs (so you’re not just saving on the purchase price but the operating cost too) with a few offering extra functionality for those times you could do with a little more than simply a bright light. We’ve considered their form too, as different working practices require different lighting styles. Here’s our pick of the bunch of budget desk lamps. 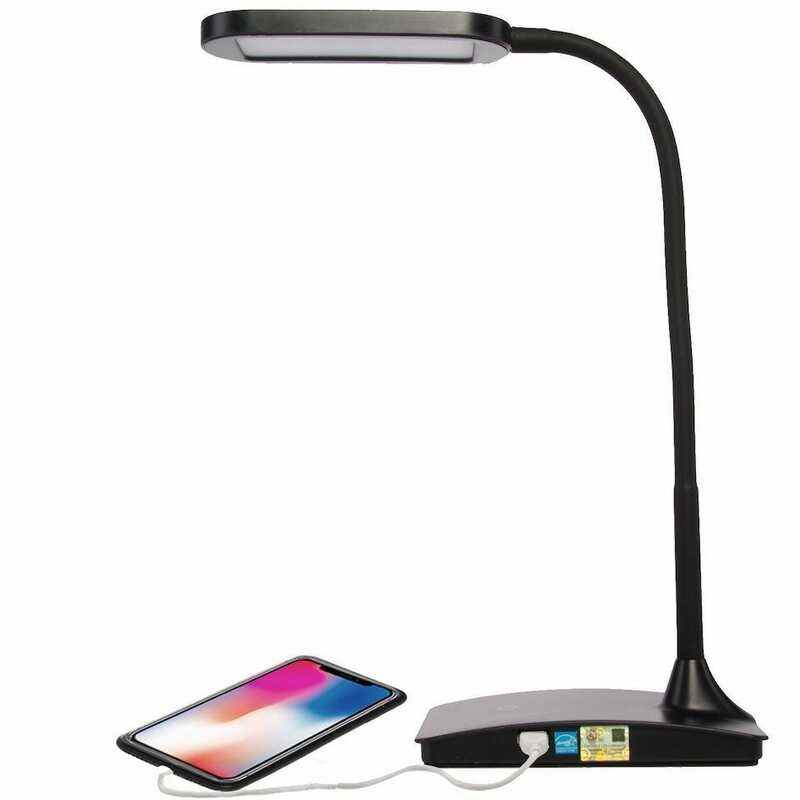 TaoTronics has good niche in well priced budget offerings for lighting and small home electronics, and the TaoTronics LED Desk Lamp is another winner from the company. It’s a dimmable office lamp that’s wide enough to cover most of the key area of your desk, and has some extra features to make you love it all the more. There’s a USB charging port on the lamp, proving great for those times when you need to charge, well, anything USB based. It has easy to use touch controls so you simply slide your finger around it to tweak the brightness level, and there’s a choice of 5 different mood lights on top of that. The desk lamp head can rotate 90 degrees left and right or 135 degrees up and down. The only place where the TaoTronics LED Desk Lamp doesn’t quite hit the spot is when it comes to style. It’s built for functionality rather than designer looks (unless the look you’re after is minimalist-hospital with a dash of maybe-spaceship). Want a desk lamp with over half a dozen brightness settings? 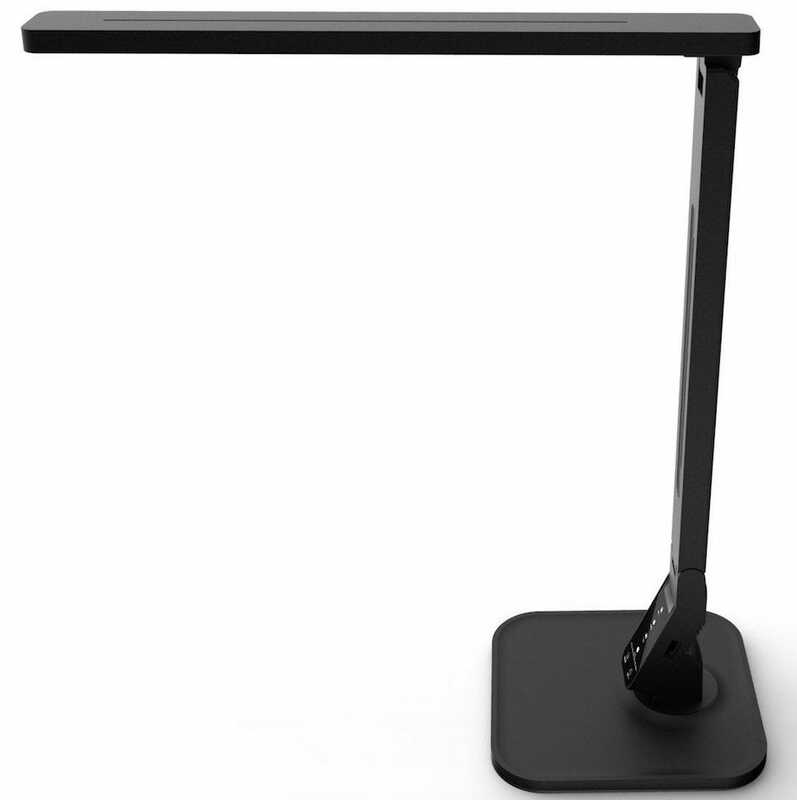 The Lighting Ever LE Dimmable LED Desk Lamp is that lamp. Using a touch sensitive panel, you can tweak the lighting to 7 different levels, each catering for a different need. Whether you’re reading, studying, relaxing, or even sleeping, there’s a setting here for you. As well as that, the lamp head rotates up to 270 degrees with a 150 degree adjustable arm and 340 degree revolvable base. It’s easy to get the right position for your needs, plus there’s a built-in base stabilizer so you don’t have to worry about it tipping. Much like the TaoTronics lamp, it’s not exactly stylish but it provides plenty of light on your desk which is, after all, the primary function of a desk lamp. If, like us, you’re liable to be working at your desk into the wee hours, then it’s useful to have a desk lamp that also works as a night light. The Saicoo LED Desk Lamp does precisely that. As a lamp, it has 3 levels of adjustment, allowing you to dim the brightness from 10% to 40% or 100%. It’s as a night light that things get fancier. The night light feature is in a ball shape at the base of the desk lamp. It offers 256 colors with a color wheel enabling you to change it to look however you want it to look. Controls in both cases are touch sensitive so it’s easy to whirl the wheel around to get things just right. 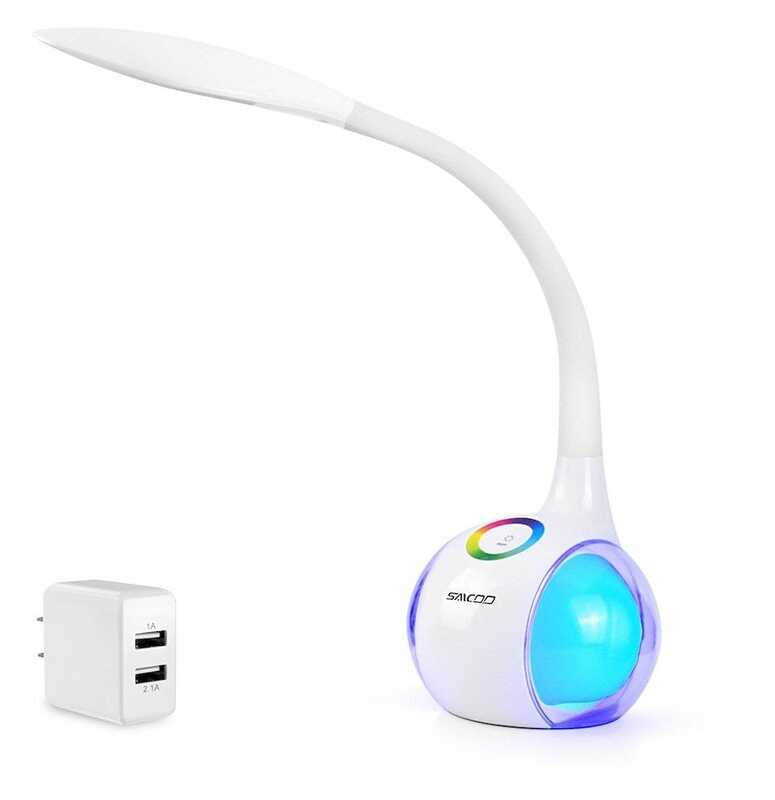 Because of the design, you can’t adjust the angle quite as extremely as with other lamps, but if you’re looking for something a little different, it’s pretty neat. It also includes a dual-port charger with a 1A port for the lamp and a spare port for charging your phone or tablet. Want something that looks great on your desk and illuminates everything well? The Tomons Wood Swing Arm Desk Lamp is that lamp. 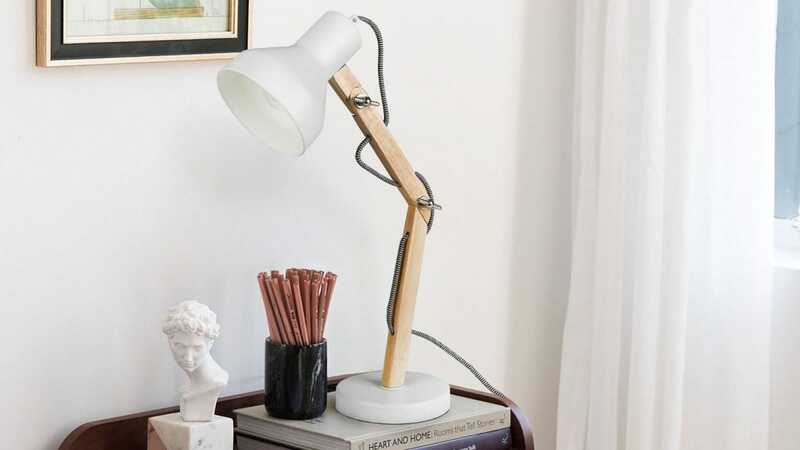 Made from solid wood, it’s firm and far more stylish looking than your average budget desk lamp. On a tight budget but need a good desk lamp? 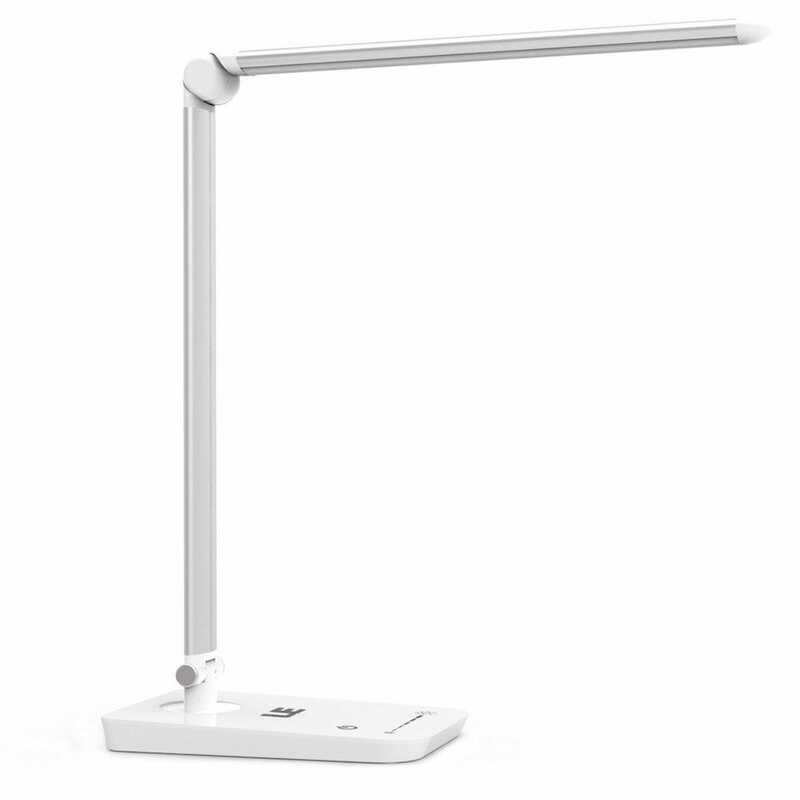 The TW Lighting Ivy LED Desk Lamp is that lamp. It definitely doesn’t look very eye-catching but it does the job perfectly. It offers 3 different levels of dimming, ranging from a bright light for completing tasks to a more ambient light for relaxing. The base has room for one USB port so you can easily charge your phone or tablet from it while you use it. Plus, the neck of the lamp is fully adjustable for your convenience. It’s a bit lightweight and not the hardest wearing of lights but, for the price, it’s a bargain. 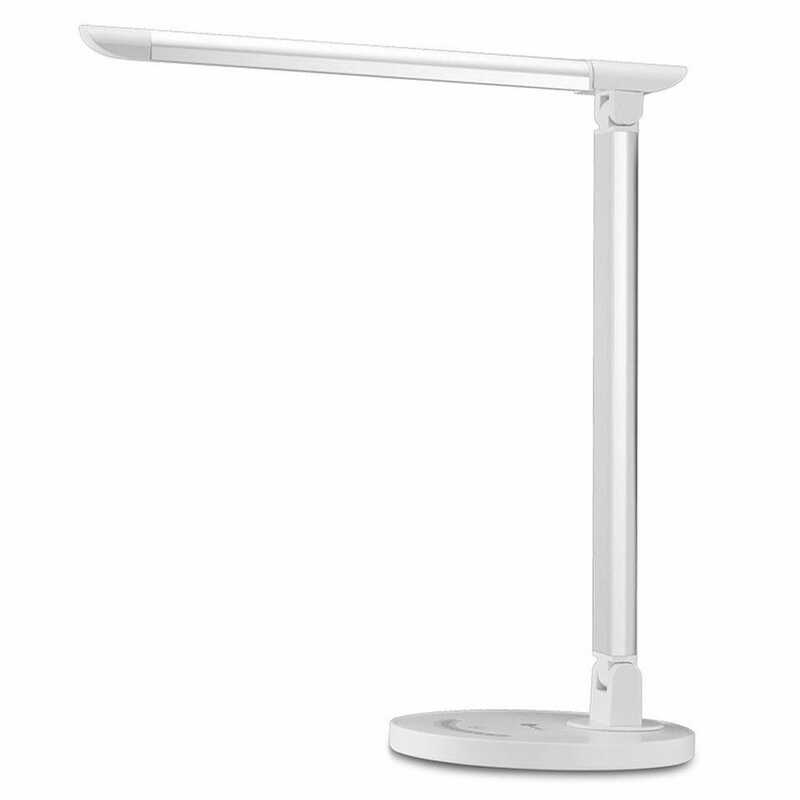 The Lampat LED Desk Lamp offers a little bit of everything for a keen price. It has 5 levels of brightness as well as 4 separate lighting modes — divided between reading, studying, relaxing, and bedtime—with a touch sensitive panel helping you pick what’s best for you. Integrated in the base is an USB port that’s perfect for charging your phone through. The lamp rotates to about 180 degrees, covering most of your needs if not quite as flexible as some alternatives here. Where things get more original is its auto-timer setting. You’re able to set it so that it automatically switches off after either 30 minutes or an hour. That way, it’s perfect as a form of night light or simply if you’re prone to forgetting to switch it off from time to time. If you need something with a timer, this is ideal.